Belgium is home to lot of global beer brands produced in all different styles. Belgian-style beers are already popular in the US. The Belgian design firm Creneau International and Interbrew, a Belgian beer company, have come up with the concept. 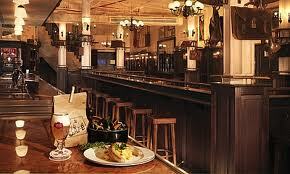 Creneau has managed to build many beer cafes in Asia, the Middle East and Europe. The design agency is now going to bring the idea to North America. The first Belgian Beer Café in the US is set to open at Newark Airport in the next few months, Public Radio International reported.